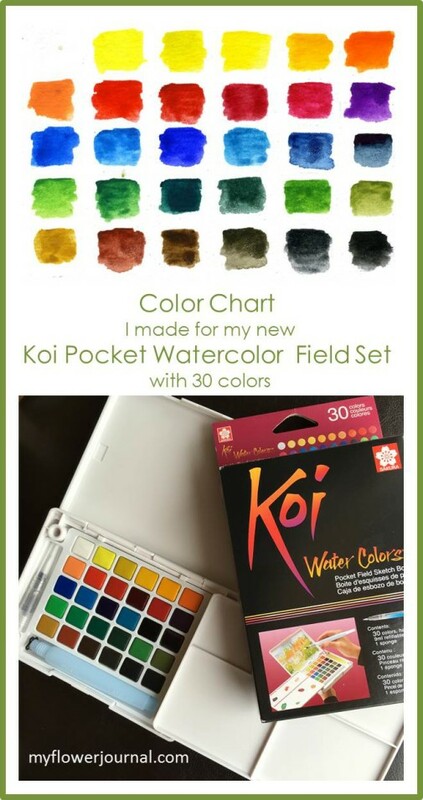 I love my new Koi Watercolor Pocket Set and the 30 colors it now includes. I have used my Koi set of 24 colors for years for on the go or quick projects.Recently Sakura added 6 new colors to their small, portable watercolor set without changing the size. Plus, it still includes a medium size water brush. 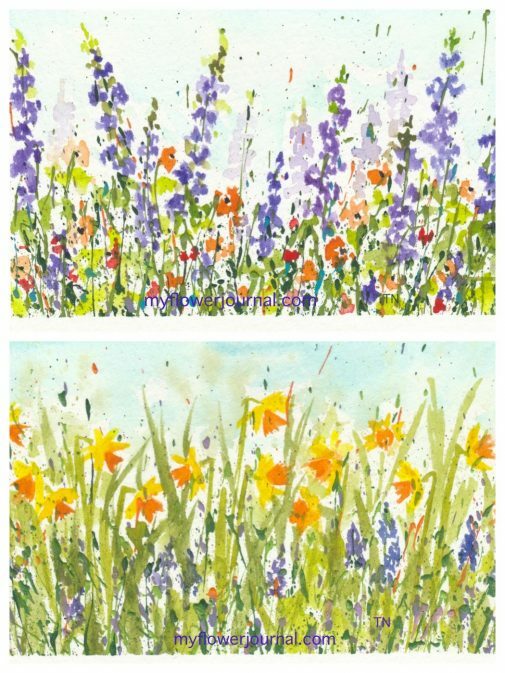 After I finished my my color chart I played with the colors and made some watercolor flower postcards. The tutorials for how I make my watercolor flowers can be found here and here. I love working on watercolor postcards. I like to practice new techniques or ideas on them. If I like how they turn out I can use them as cards or gift tags. The bright pretty colors in this set work well for painting flowers. There is plenty of room for mixing colors. The removable tray can be placed on the left or right or even in the front of the paint colors. The lid can be used to mix colors or hold your color chart or a the watercolor postcard you are working on. Since the water brush fits inside you don’t need a lot of space to store your supplies for your on the go watercolor projects. 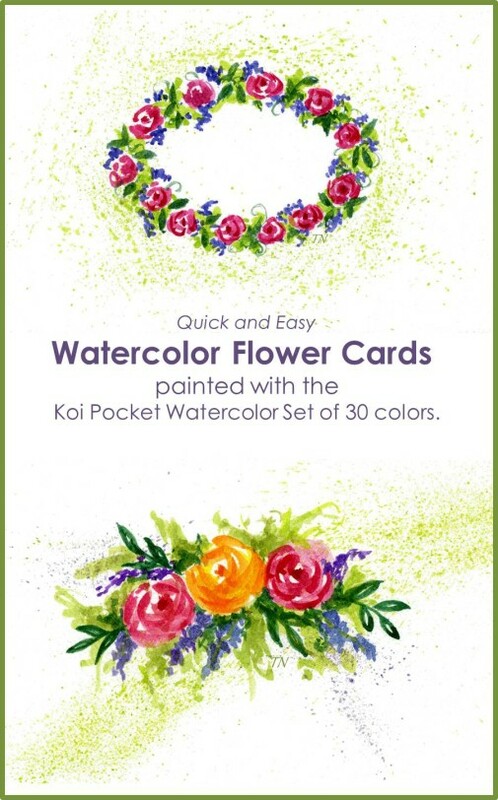 On these watercolor postcards I used the Koi set to add watercolor flowers to some splattered acrylic paint. You can learn more about my splattered paint flower art here. Very pretty. I’m sharing your post with my daughter who loves to work with watercolors.